So superior to curly parsley! The fresh, sweet flavor of Italian flat-leaf parsley elevates any dish and is nutrient-packed. Big, deep green leaves produce abundantly; just snip as you need them. Use fresh as a garnish for potatoes, egg dishes, pasta, stews, soups or pizza just out of the oven — try a parsley pesto! Bundle with rosemary and thyme for use in stocks, soups or slow-roasted meats of any kind. Biennial. Photo courtesy of Baker Creek Heirloom Seed. Start indoors: Plant 1/8” deep in sterile planting medium. 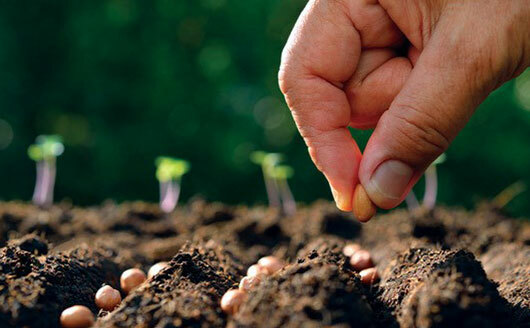 Sow outdoors ½’ deep every 3-4 weeks in early spring.